“I have a dream that one day this nation will rise up and live out the true meaning of its creed: “We hold these truths to be self-evident, that all men are created equal” are the words that came rising up from the steps of the Lincoln Monument that 28th day of August, 1963. It was then and there that Martin shared his dream with us. 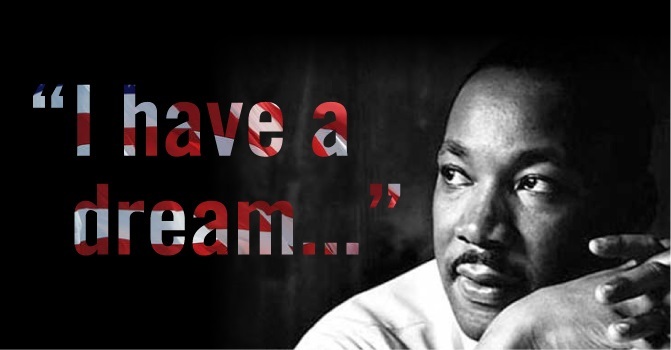 Martin died prior to seeing his dream fulfilled. We are still waiting for the dream to become reality. Cause lady liberty’s a hypocrite, she lied to me. Calling me a mad man cause I’m strong and bold. Benjamin Mays—Martin’s mentor—once said “It isn’t a calamity to die with dreams unfulfilled, but it is a calamity not to dream.” Martin had the courage to dream. Despite the nightmares and despite the fact that the dream has, so far, evaded us, let’s not stop dreaming. “Let us dream of tomorrow where we can truly love from the soul, and know love as the ultimate truth at the heart of all creation” chimed Michael Jackson. “The best way to make a dream come true” said the first African American woman to travel into space, Mae Jemison, “is to wake up. So, let’s WAKE UP, WAKE UP, WAKE UP and make the dream come true. And thanks for reminding me to stop taking things for granted. We all do it Roger, you’re welcome! Take care and best wishes to you & yours. Great piece Ronald. Very well written.